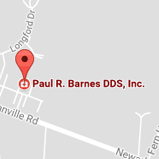 Testimonials - Dentist Granville OH | Paul R. Barnes DDS Inc.
Click here to see ratings of this dental office from other patients in Granville. "I have been going to Dr. Barnes since I was a little kid and have always had a pleasant experience with him and his staff and trust them completely with all my dental needs." "As always, my visit to your office was very efficient and enjoyable. The staff is "always" cheerful and helpful and the service is excellent!" "I always feel very welcome when entering your front door. The entire staff is pleasant, professional, and friendly. The service is great!" "It's evident to me that Dr.Paul Barnes is eager to learn new techniques, which he can apply to his dentistry. It seems to me that on every visit, he's either employing an entirely new technique, or a refinement of a previous technique, all with the objective of producing more satisfying, or long-lasting results." "I have been going to Dr. Barnes since I was a child and now my daughter goes to him as well. They have the most up to date technologies, and continue to grow. I must say one team united to achieve the same goal.....GREAT SMILES! Thank you." "The best I've experienced. Uses the latest technology available." "The entire staff enjoys what they do and insure the customer is treated as they would like to be treated. Top Quality care with competitve pricing." "My family have been patients of Dr. Barnes for many years. Even when we moved 45 miles away for ten years, we still came back twice a years for cleanings and exams. We wouldn't change dentists for anything!" 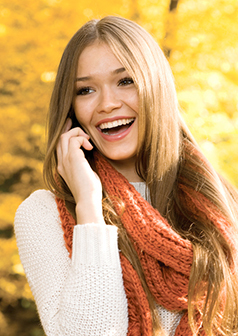 "Best dental service I've experienced. Thank you for the excellence in quality and customer service."